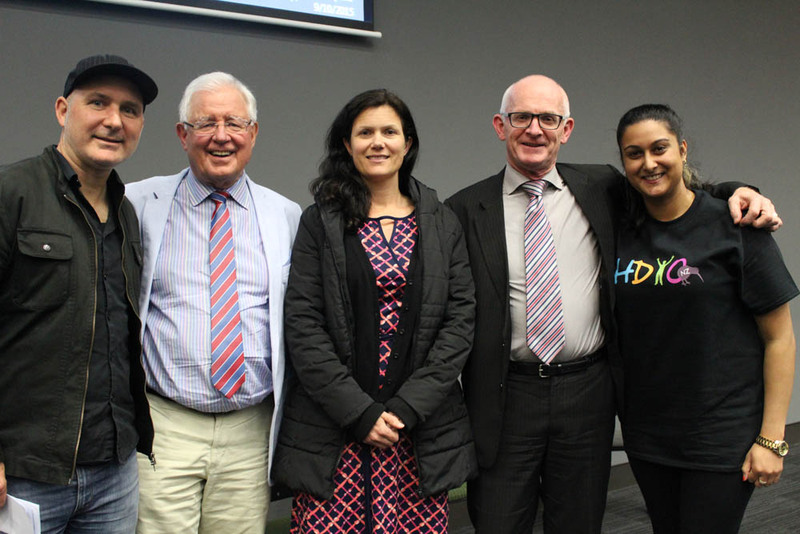 In October 2015, HDYO-NZ had the privilege of screening the film and hosting the film producers, Bridget and Jeff Lyon, at the University of Auckland, Faculty of Medical and Health Sciences. HDYO-NZ fundraised at the event by selling HDYO-NZ t-shirts, HDYO-NZ wrist bands, and raffle tickets with a number of awesome prizes to be won. The event was attended by researchers, clinicians, students, and family members, who all learnt something new through watching the documentary. We would like to thank Bridget and Jeff Lyon for allowing us to screen the film, and for travelling to Auckland to share their story with us. Also, many thanks to the Centre for Brain Research and University of Auckland, Faculty of Medical and Health Sciences for supporting the event. Newer PostBaking, and eating, for a good cause!